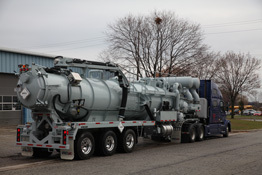 We brought a Powervac 3800 and several other trucks to WWETT17 our booth at the Water & Wastewater Equipment, Treatment & Transport Show February 22 - 25, 2017. Thanks to everyone that stopped by the booth to say hello. Do call Toll Free 1-800-387-7763 if you have any further questions. For over 45 years Presvac Systems has been recognized as the premier manufacturer of standard and sutom vacuum equipment. Truck mounted, skid mounted, trailer models in both dumping and non dumping configurations, as well as rail car mounted. 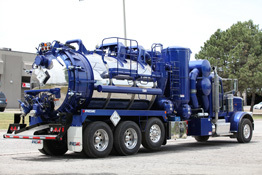 Presvac Systems has the knowledge, engineering, and expertise to do it all!